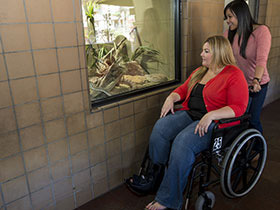 We'll be at the annual Association of Zoos & Aquariums conference in Kansas City Sept. 7-12. Stop by our booth (#104-106) to learn more about the San Diego Zoo Global Academy, ask questions, or just say hi. 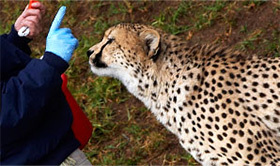 Animal Care Academy Courses: High Value to Keepers Course topics were selected for their broad applicability to zoos, parks and aquariums. This pilot involved the first four animal care modules. Participant responses confirmed the relevance of these topics. 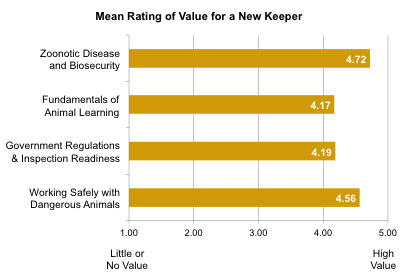 When asked to rate the value of each course for a new keeper, the following results were recorded. A total of 155 individuals completed one or more of the Academy courses. Pre- and post-tests, aligned with each course’s designated outcomes, were administered just prior to and immediately following training. A follow-up assessment was also administered to a smaller group to gauge knowledge retention. Gains in knowledge were recorded for each of the four tested courses. Average gains ranged from a low of 7 percentage points to a high of almost 23 percentage points. In all cases, the difference between pre- and post-test means was statistically significant—indicating little to no probability that the observed mean differences were the result of random chance (significance varied between p ≤ .004 — p ≤ .000). While pre-test scores varied by course, recorded post-test score means all clustered between 93.8% and 96.8%. This indicates a high degree of mastery, regardless of the individual’s performance level when the course began. For each of the four e-learning courses, participants raised their performance from pre- to post-test. In addition, the variance across participant scores was effectively reduced. Upon post-testing, participants possessed greater knowledge of the content—and the range between the highest and lowest test score was significantly reduced. For example, Zoonosis course pretest scores averaged 80.3% with a standard deviation of 9.5 points. After completing the Zoonosis e-learning module, the post-test average score was 96.3% with a standard deviation of 3.4. Similar growth patterns, including this reduction in range of participant pre- and post-test scores, were noted for each of the four courses. Retention of learned skills and knowledge over time is an equally important factor for determining the efficacy of the Academy courses. Two of the pilot testing organizations agreed to conduct a follow-up assessment. Participants completed a follow-up test for the Zoonosis course 90 days after post-test administration. Results indicate that, following an initial gain of 15.7 percentage points and achieving a post-test mean of 96.5%, students maintained 10.2 of the original percentage 15.7-point gain. This equates to 67% retention of the gained knowledge, relative to post-test performance. Participants gave the full range of course components high marks. In particular, these learners favored the real-world video case studies featured in each course. On average, participants believed that they had learned each course’s content—suggesting confidence with the subject matter. The majority of participants indicated a willingness to complete additional online training. This proved true regardless of the learner’s age. In fact, the older, more experienced participants indicated a greater desire to engage in online learning and a greater enjoyment of the online learning experience. We will be pleased in the coming months to share with you additional results of efficacy testing completed by Dr. James Marshall at SDSU on the initial Animal Care Training course series. Thank you to all who participated in the study. See the preliminary results for yourself here. Or stop by our booth (#104-106) at the AZA Conference in Kansas City to discuss the results. 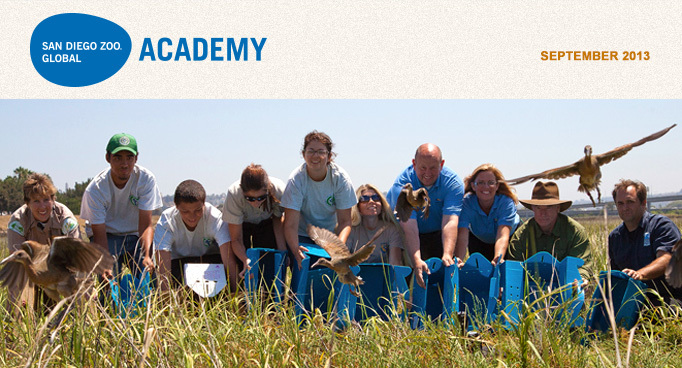 Would you like to hear more about San Diego Zoo Global Academy? In 2007, the San Diego Zoo Safari Park was faced with the oncoming threat of a massive wildfire. 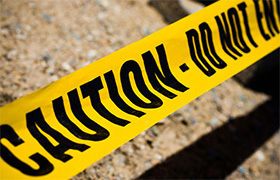 Lessons learned from this and other emergency situations have been used to create a learning module designed to help you be prepared for similar crises. This course helps you identify the components of a disaster and understand what actions should be taken. A significant part of the instruction covers methods for averting disaster and ways to communicate during an event. Customer Service Comprehensive is a compilation of seven courses that provide an overall training approach to customer service. You will learn how to set standards, keep loyal customers, develop a framework for success, communicate to customers and staff, delight your customers, and handle complaints. The August webinar presented “Light Footed Clapper Rails: A Successful Ex-Situ Conservation Program.” Andrea Cabibi from San Diego Zoo Global provided us with a detailed overview of the collaborative efforts of different organizations united to save this highly endangered bird species. Participants were able to understand the process involved in setting up a captive breeding and release program for an elusive bird. Our September webinar will be the 4th in our ADA series, entitled “Accessible Exhibits - Designing for Guests.” Mark Treiglaff, from Accessibility Consultation and Training Services, will review what is required under the ADA and also review standards developed by the American Alliance of Museums and the National Park Service. Although these two standards are not required by the Department of Justice, they do provide guidance and standards that will make your exhibits easy to use and effective in communicating their messages to your guests. For more information about webinars, or to be added to our webinar notification list, please contact: Debbie DiBacco at DDiBacco@Cypherworx.com. The Global Academy Congratulates the Phoenix Zoo! The Phoenix Zoo is upgrading their subscription to the Global Academy. The Phoenix Zoo will have a privately branded site for their employees and one for their volunteers, and access to the Global Academy, as well.